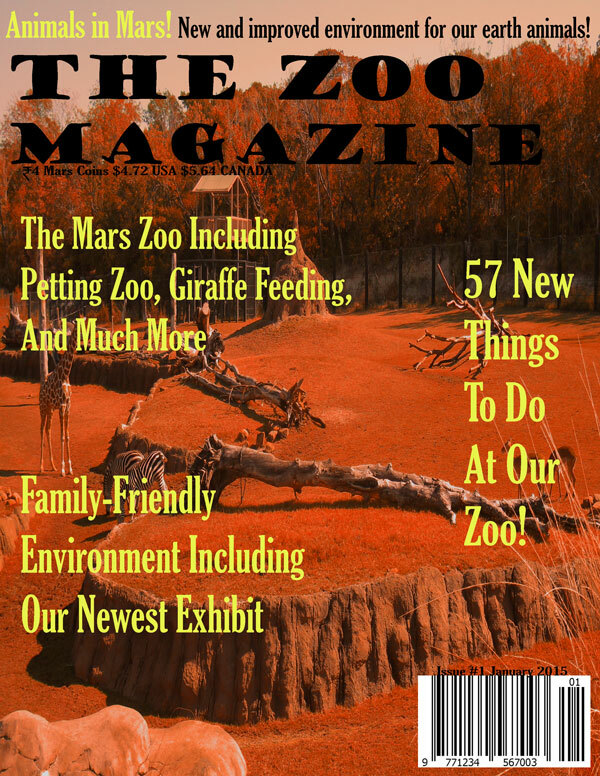 For my inspiration, I picked a zoo theme because it was out of the ordinary, something that wouldn’t happen on Mars. I work at a zoo and I thought about the idea when I was working. Someone had talked about Mars and it popped into my head. At first, I had an idea that had to do with a panda bear, but then to me it seemed like it wouldn’t work. After that, I looked up zoo pictures and found the one (which was used in the background). I changed the sky color from blue to an orange-pink which was an easy thing to do. 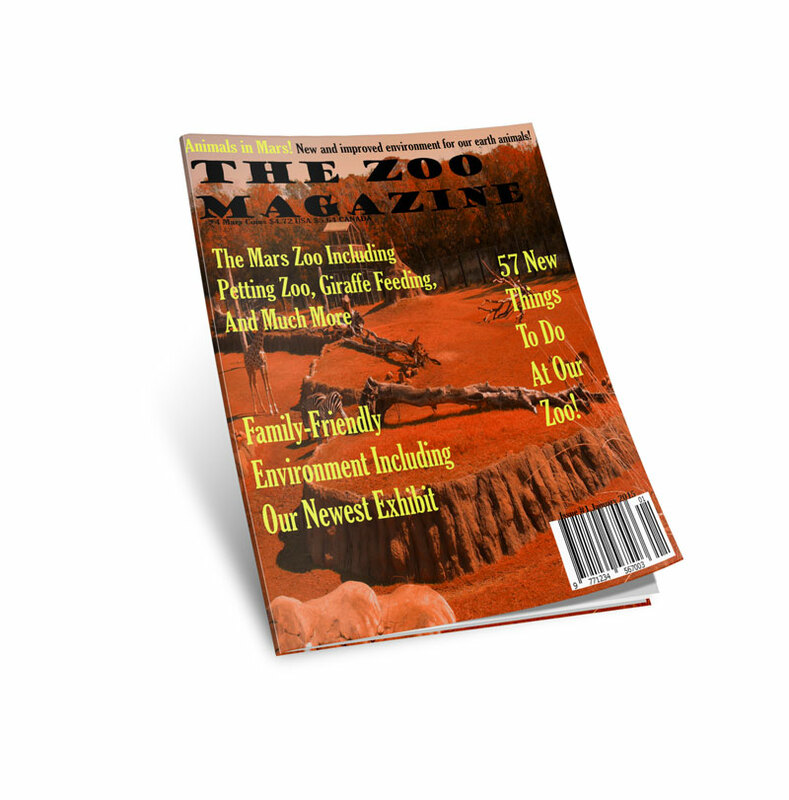 Finding a font that would work for a zoo magazine was easy to find. What color to use was different. After using Hue/Saturation, Photo Filter 1, and Selective Color 1, the font color would be different. 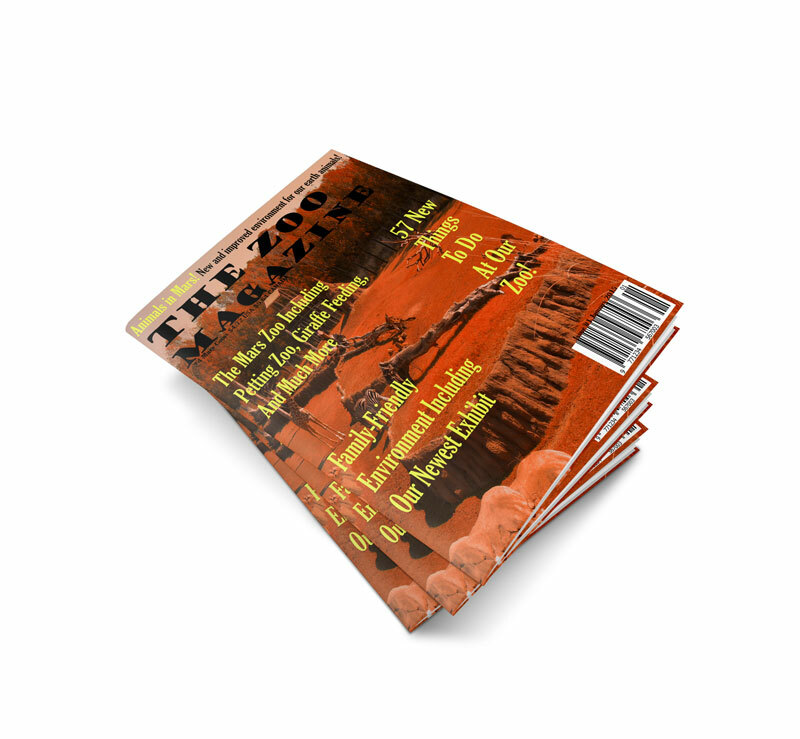 Yellow and black was the best choice for an orange, light colored magazine. For my date, I used January 2015 because of this is one of the project that ends this month.